Pink Noise for testing and tuning your live sound system. White Noise for SPL measurements. 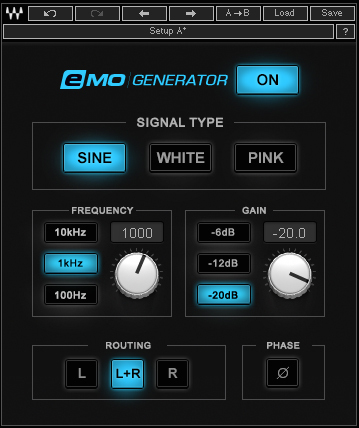 Sine Wave for sweeping through entire frequency ranges or even for tuning instruments to middle A.